We decided to conduct an SEO investigation to figure out what they did to capture so much search traffic. 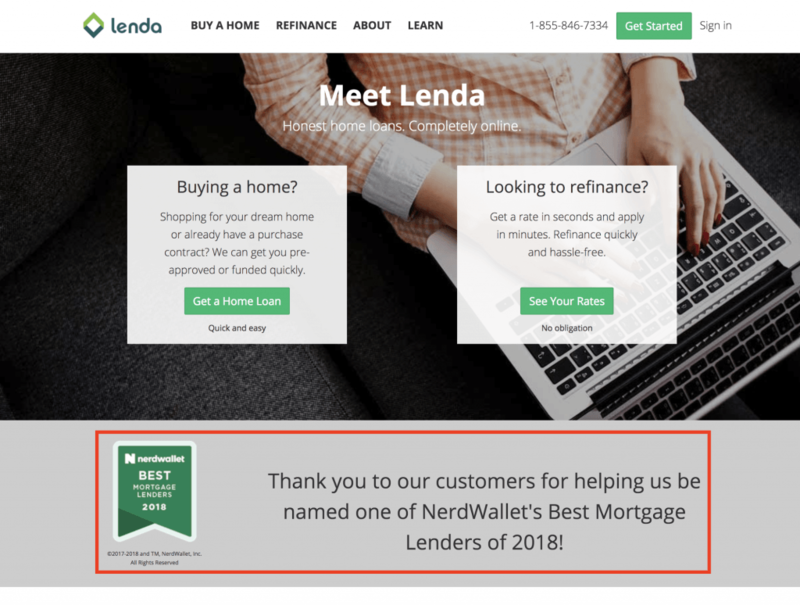 In this post, we’re going to show you 7 ways how Nerdwallet grew to a $520 million valuation with SEO – and how you can use the same ideas for your website. NerdWallet went from $800 and an excel sheet comparing credit cards in 2009…to $100 million in annual revenue and a huge market share of financial content, tools, and apps today. The crazy thing? 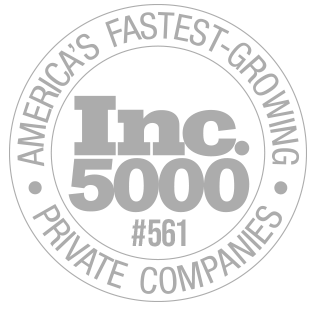 They’ve grown and continued to grow primarily through this one marketing channel. NerdWallet’s search marketing strategies fully blur the lines between PR and SEO to scale the backlinks and traffic to their site. The best part? You can use these SEO ideas for your business. Ego Bait involves creating content that appeals to another website’s self-importance to get a link. …and perhaps, even on their homepage. …and perhaps, even with a link! This results in Nerdwallet having TONs of HIGH DA homepage links as a result of these campaigns. 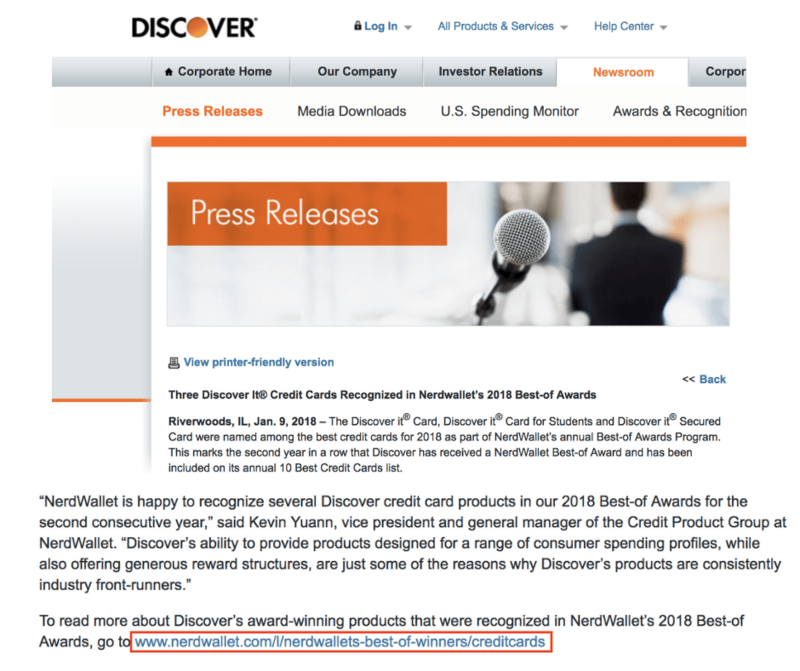 Nerdwallet’s list of 2018 Award winners contains enterprise sites with high authority like Chase, Fidelity, and Betterment. They get a lot of links back from these different corporate winners. Nerdwallet SCALES this strategy big-time through a wide variety of awards categories. It’s not just companies like credit cards and mortgage lenders who get NerdWallet awards. Real people get awards too. 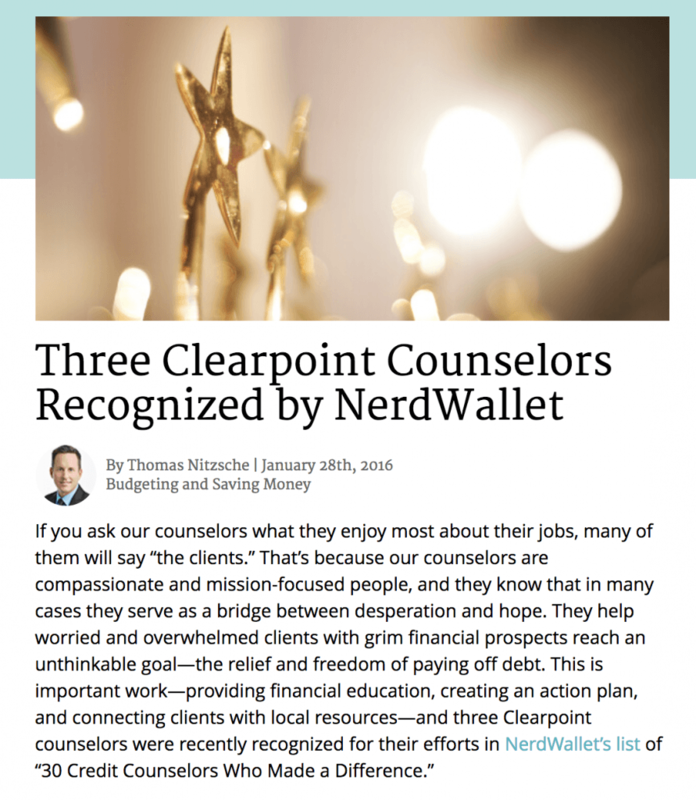 For example, NerdWallet published a list of “30 Credit Counselors Who Made a Difference” that included counselors from Clearpoint. That list no longer exists on NerdWallet’s site, but the link they got from a post on Clearpoint’s blog announcing the good news is still up. Think you could put together a list recognizing the prominent figures in your industry? 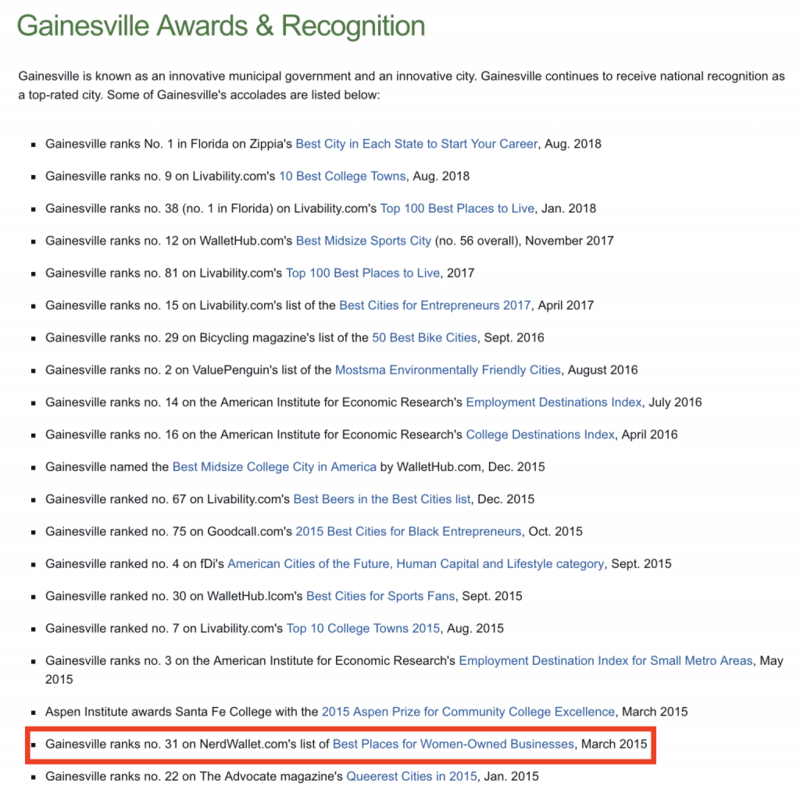 Let’s talk about NerdWallet’s location-specific awards. This gets them TONS of links including valuable homepage links. For example, their award for “The Best Places for Young Families” in each state is ego-bait that worked at SCALE. They selected 10 towns in every state to win. They created 1 separate post for every state, announcing 10 winners in each. This created 500 towns who “won,” and resulted in tons of opportunities to get a press link, chamber of commerce or a town homepage link for the award. Many of the homepage links from sites like town governments stay up even though the award has aged. Even if you don’t end up on the homepage, websites have other pages listing their awards and recognitions, both large and small. 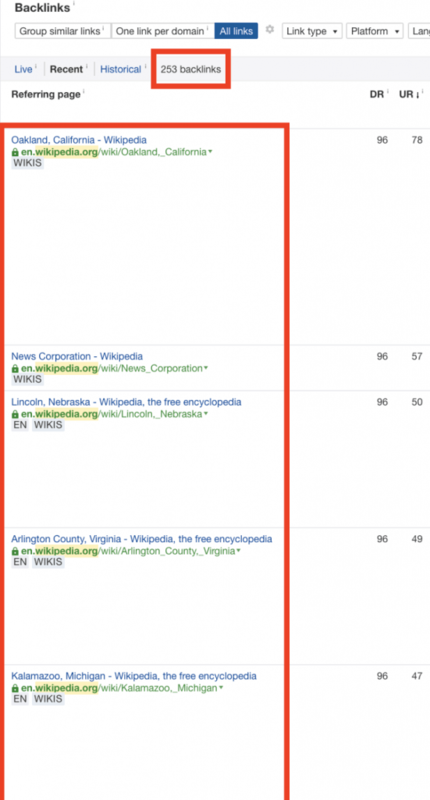 Better still: NerdWallet’s awards (and their other content) are making their way into Wikipedia as references. Ego bait does the double duty of earning you links while increasing your brand recognition and exposure. As your brand grows, it should become even easier to get links with other awards categories that you create. Will this strategy work for you? Is it oversaturated? Sites don’t mind posting multiple awards on their homepage. Decide what award category is relevant to your niche and appealing enough for the winners to brag about. Make a list of winners using sound methodology. For example, NerdWallet looked at the percentage of companies owned by women in a city, the average revenue of women-owned businesses in that city, and other statistics to list the best cities for women-owned business. Publish the award winners in a post. Create a graphic badge to make it easier for the winners to post the win on their homepage and get you a link back from it. Promote the post by reaching out to relevant webmasters and press to notify them that they’ve won. Suggest that they brag about the award on a page of their site or in a press release (or put out your own press release). Establish new award categories and renew the list each year to repeat the process and gain more links. If you do renew the award, announce it on the same original page. That page will collect additional backlinks. Even if you feature a website without giving them an award they might brag about it. The strategy for gaining “As Featured In” links has some parallels to Ego-Bait – but with some crucial differences. Rather than using the appeal of winning an award, you can get “As Featured In” links by publishing favorable profiles or reviews of people, companies, products on your site. Reach out to get a link back to that content piece. Another way to get “As Featured In” links is through legitimate partnerships. 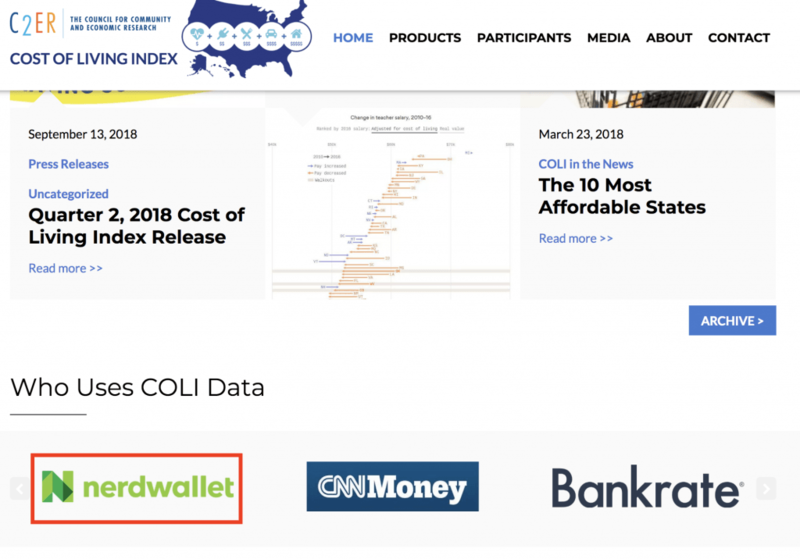 For example, Nerdwallet created a cost-of-living calculator tool that draws data from The Council for Community and Economic Research’s cost-of-living index. Select a website, product, service, etc to feature in a content piece profiling them, or strike a legitimate partnership with them. Remember: If they are already posting links like this on their site, you’re more likely to get your link added to that area of the site as well. Publish the piece about them or create the partnership. Reach out to request your badge and/or link in the homepage footer or another relevant area of the site where it should appear. If the link back to you is coming from a partnership, convince them to put your link on their site when you put the deal together rather than afterward. A reversal of the “As Featured In Link” where you attempt to be the one profiled in a content piece on a different site. When you can identify sites in your industry that publish content on other entities in the same industry, you have a decent chance of getting posted on their site too (if you’ve done your branding right). Identify relevant industry sites with active blogs or directories of businesses. Reach out to propose a piece profiling or reviewing your brand and make sure to highly emphasize why THEIR audience would care to know about your website. Create an information sheet or content piece about your business that makes it easy for them to quickly put up a profile and/or review of you. Double check that they included links back to you in the piece. If you pick the right websites, usually ones that are adjacent to the topics you cover, you increase your odds of getting featured. To win in content marketing, you sometimes need a competitive advantage beyond publishing as many good content pieces as you can. The PR industry can be secretive, but it somehow helped Nerdwallet land a rare partnership deal with The Associated Press. 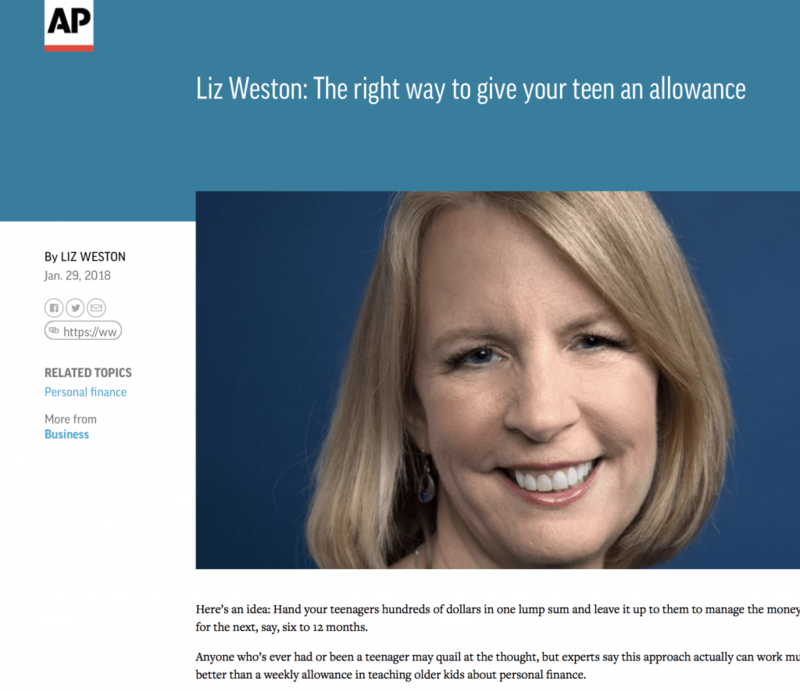 The AP distributes Nerdwallet’s content to 1,650 media outlets, including the New York Times and Washington Post (with at least one backlink in each piece, and usually containing 2-3 links back to NerdWallet or more). Nerdwallet is also partners with Apple News, CNBC, Flipboard, Gannett/USA Today, Hearst, MarketWatch, MSN, Mashable, Fox Business Network and the Minneapolis Star-Tribune. Just imagine if all those links were coming in to YOUR site. 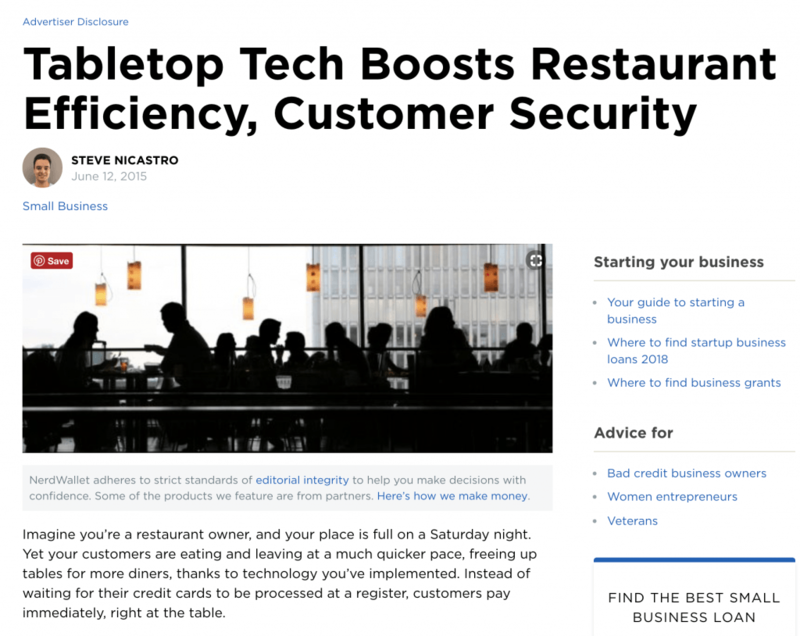 PR isn’t just reprinting syndicated content, but guest posting as well. Thanks to those media partnerships, NerdWallet’s writers will regularly contribute original pieces to other publishers and include a link to Nerdwallet in their writer bio. 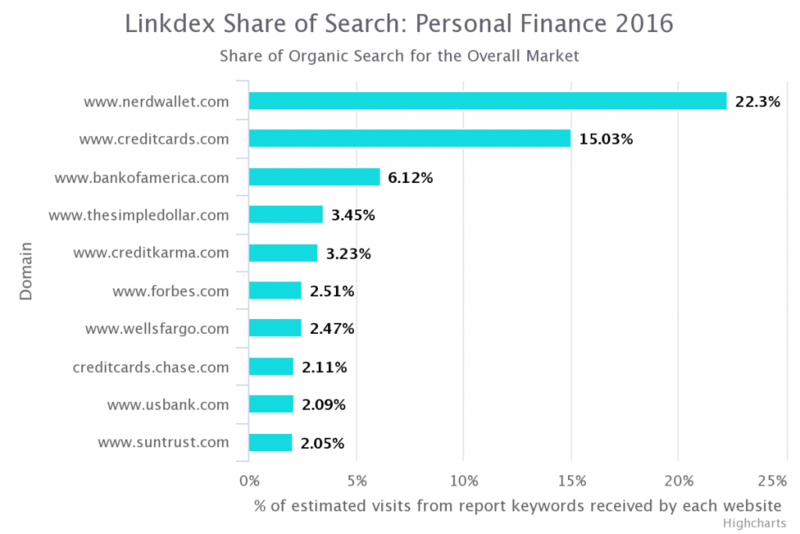 Traditional public relations combined with SEO is central to Nerdwallet’s link building strategy. While not everyone can get syndicated by the Associated Press, let me emphasize that as a strategy: partnering up with a PR firm to land better opportunities is not out of reach for you. There are a lot of PR firms out there who will do the hard work of scaling up your links through guest posts and syndication. This one writer has contributed a LOT of pieces like this just to Forbes, 8-12 in a single year, each one with a link back to Nerdwallet. Before you say, “But I can’t afford PR services yet,” I want you to remember that Nerdwallet started small with this strategy. They began with a smaller PR deal (along with in-house work) to get their content syndicated. They scaled from niche blogs, smaller press outlets, and town government pages up to financial institutions and mainstream news sources. Your odds of getting syndicated are improved when you offer it to a publisher who needs it. This provides a view into the conversation that took place to strike the deal. Namely, that the AP had a need for more financial content from a reliable source, and Nerdwallet fit that criteria. Start by being a leader in your niche so you can strike partnerships with powerful niche publishers like Nerdwallet did with financial blog Clark.com. Then branch out to those powerful mainstream publishers like USA Today. Maintain journalistic standards in your content while also optimizing it for SEO. Find the best publishers who would be interested in reprinting your content or giving your writers a regular byline. 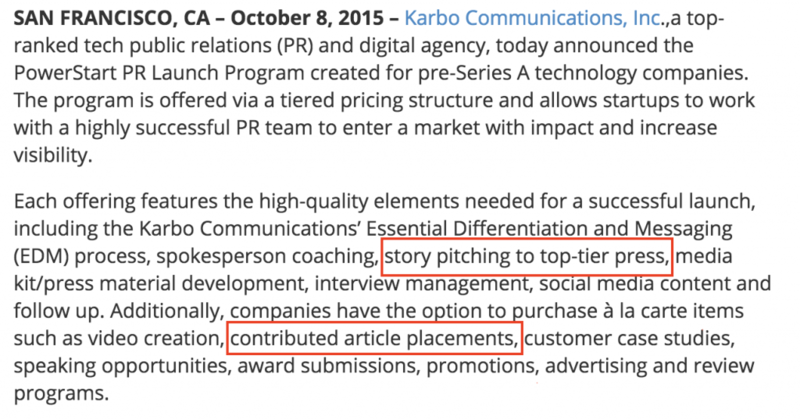 Alternately, hire on writers who already have an established byline so that you can access it. Scale your production to create a large volume of regularly published content. This will gain you the legitimacy to strike syndication deals with those major news sites, or other outlets. How do you start syndicating your content for links to improve your brand equity…when you don’t have much brand equity to begin with? The thing about content distribution is: There’s a lack of consistent, quality content in tons of different verticals. Repurposed articles made for reprinting are usually lower quality and aren’t used as often by credible sites. People like to keep their best content for themselves! NerdWallet offered an easy way to populate blogs and online profiles with solid, worthwhile information…and you can use their strategy too. In 2015, they started their own in-house wire service called NerdWallet Wire for real estate and insurance content. All of NerdWallet’s content is generated in-house by staff writers. The company’s experience in financial markets provides a solid basis from which to offer real estate, insurance, and other content. Agents are not bound to specific articles; you can pick and the choose article subjects to publish. Once you join the wire service, you can find an article, study or graphic you like, preview it, and download an HTML, .doc or an .XML file for embedding in your website. You can insert custom content and images. HOWEVER, NerdWallet does maintain its own byline with a link back to the source content each time syndication occurs. The content you provide doesn’t have to be “the best ever,” it just has to be a great resource for email filler and social media by smaller companies. Not groundbreaking stuff: but professional, informed and, most importantly, consistently good. It’s not just these types of content-reprinting sites that post NerdWallet’s content though. 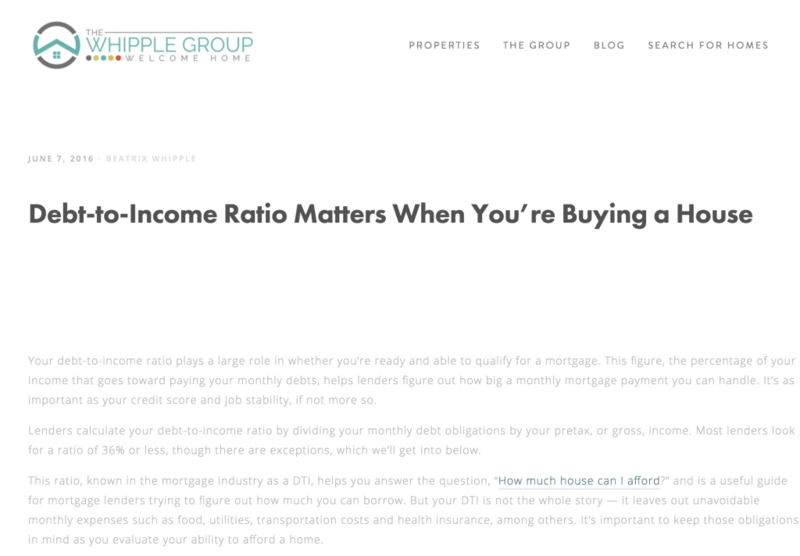 Links from smaller realty and insurance brokers’ blogs are exactly where the content was meant by NerdWallet to be redistributed. A content aggregator site like the first example can help too, but it looks most natural to receive links from a combination of sites both within your niche and outside of it. Nerdwallet has since scaled down this strategy as they landed better media partnerships with bigger publishers, but it’s one you should try. If you don’t have the brand power like Nerdwallet, luckily you can still utilize this strategy with the HOTH Syndication Content Distribution service. Today, branding and advertising is done through content. One of the best ways to establish your brand is through the content you produce. It’s all about building authority in your industry…and in search engines. Your potential customers are more likely to buy your products (or 3rd-party offers listed on your site) if your business is an authority. I know, “make good content,” is a cliche at this point. But it’s the gospel truth when it comes to getting backlinks, traffic, and social shares. We looked at NerdWallet’s top content to give you some pointers on the type of content to produce for your business. When it comes to SEO, it’s important to realize that certain types of content perform better in different ways than others. Sure, some content might rank, attract backlinks and go viral on social media all-in-one. Usually, though, a piece of content will perform better in one or two of those areas. Truly useful content that can serve as a reference, such as original research, guides, and tools, tend to attract a higher number of backlinks than other content types. Try creating original research pieces that also touch on people’s emotions. 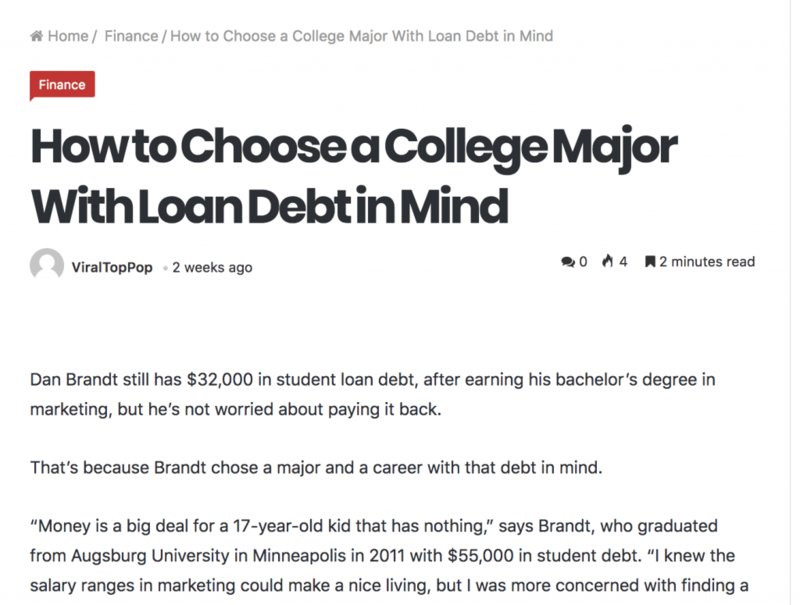 Debt is a huge societal issue, and by publishing original research on a hot topic, NerdWallet capitalizes on the value of the piece in terms of data and shock value. 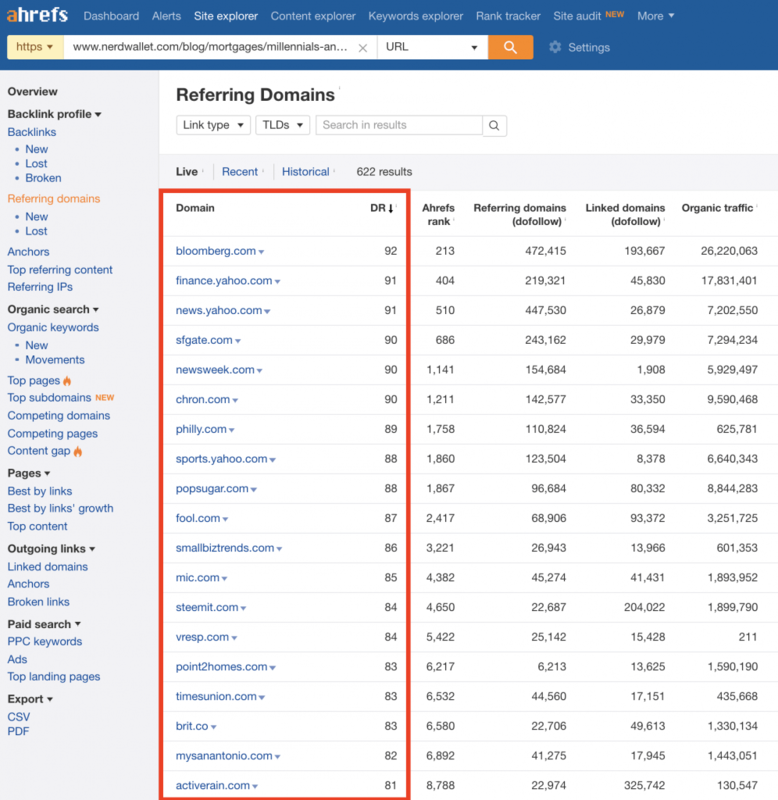 This piece has 2,600+ Referring Domains (RDs), including links from the New York Times, The Guardian, Forbes, CNN, Techcrunch, and many more high authority sites because it’s such a good reference. This piece gets 585 RDs and a massive amount of organic traffic (111k). Tools are great for linking to because they offer functionality that isn’t available on the sites referencing them. 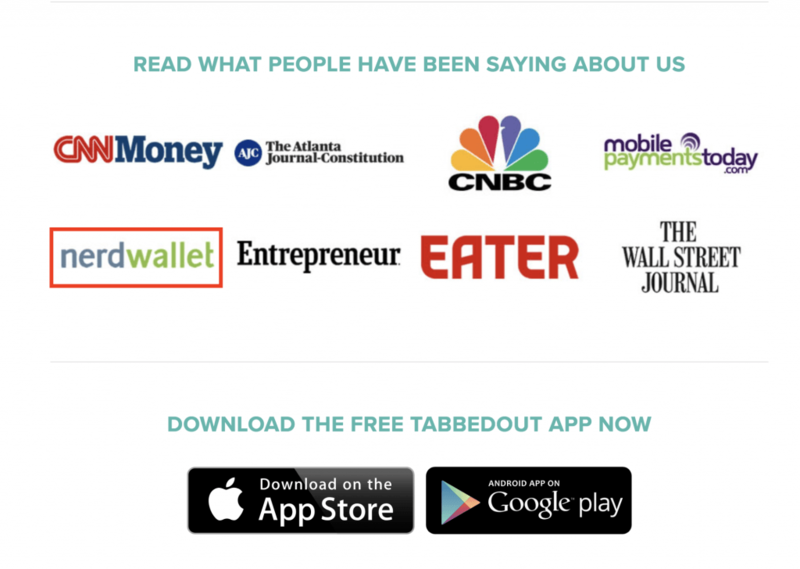 Forbes, Buzzfeed, and NasDaq or only a few of the authority links pointing to this tool. By creating a guide that’s angled to appeal to the reader’s fear of incurring costs from homeownership, this piece gets 658 RDs. It’s an evergreen topic that they can continue promoting to get even more links. Your shorter content might not rank as easily, but it’s the best content for actually getting read This piece got more RDs (805) than words (682). As an article, it offers a simple and straightforward explanation with an actionable strategy. It’s been reprinted by other publishers quite a bit and referenced as a biweekly payment plan in other content. It’s a piece that is successful because it’s the right length for its topic. This piece is longer because the topic requires it. There aren’t many pieces at over 5000 words on NerdWallet. Out of those, this one has the most backlinks (116) and traffic (12k) as a comprehensive reference for other pieces. This is the longest piece on their site, at 6900 words, and it gets 61 RD’s and 2.6k in traffic. Content that is more snackable or controversial like top 10 lists and op-eds are more prone to be shared by others on social media. While people will link to content that serves as a useful or notable reference, people SHARE content that strikes an emotional cord by being entertaining or opinionated. The most social shares go to this piece, at 45k Facebook shares. It also has a lot of RDs (147), partially, we can assume, as a result of being shared so much. They published a major op-ed calling for the protection of the Consumer Financial Protection Bureau from being gutted by the government. This content piece fits in with their brand promise of protecting consumers finances. It got a lot of social shares for being controversial and is the 2nd most shared NerdWallet content piece at 10k Facebook shares. This list is at 9.4k shares. Everybody likes Top 10 Lists, and everybody likes a good deal. There’s no secret for making a piece of content go viral other than coming up with a great headline and topic. Snackable content in the form of a listicle or how to, or controversial content with an emotional headline is going to better for you on social in terms of shares. Quite a variety of content can end up ranking on page 1 of Google for its target keywords and attract organic traffic (and backlinks). 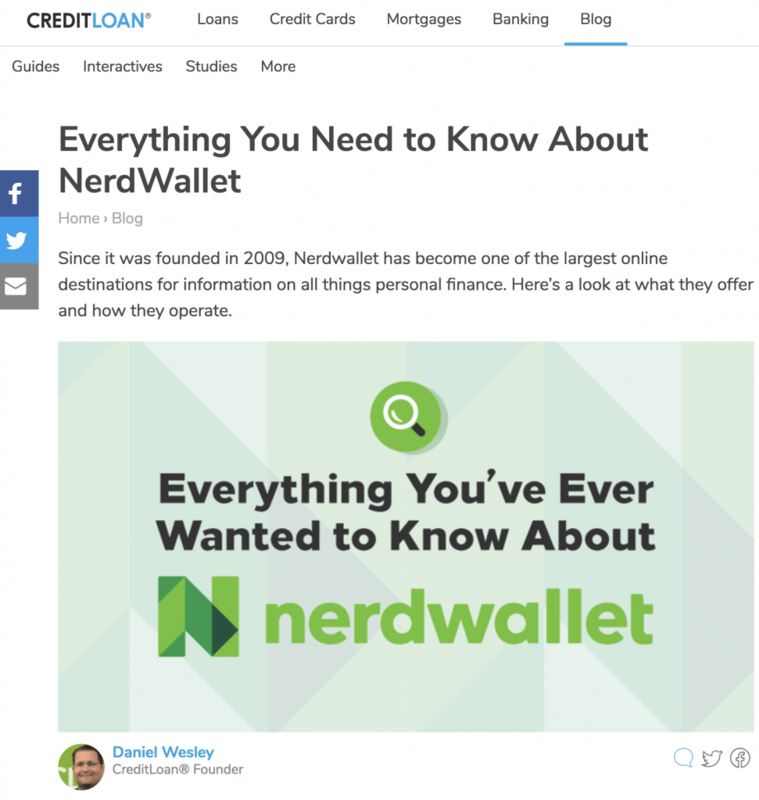 NerdWallet’s top-trafficked content includes their highly-backlinked tools and guides. Traffic and backlinks can behave like a positive feedback loop, gaining in one can contribute to gaining in the other. Primarily, they capture traffic by creating comprehensive ratings and reviews of products and services to capture those highly valuable branded keywords. To generate traffic closer to the top of the funnel they also create comprehensive resource hubs for a variety of topics including starting a business, getting out of debt, or shopping on Black Friday. Research done well is a highly valued form of content when you’re trying to build your equity as a publisher. 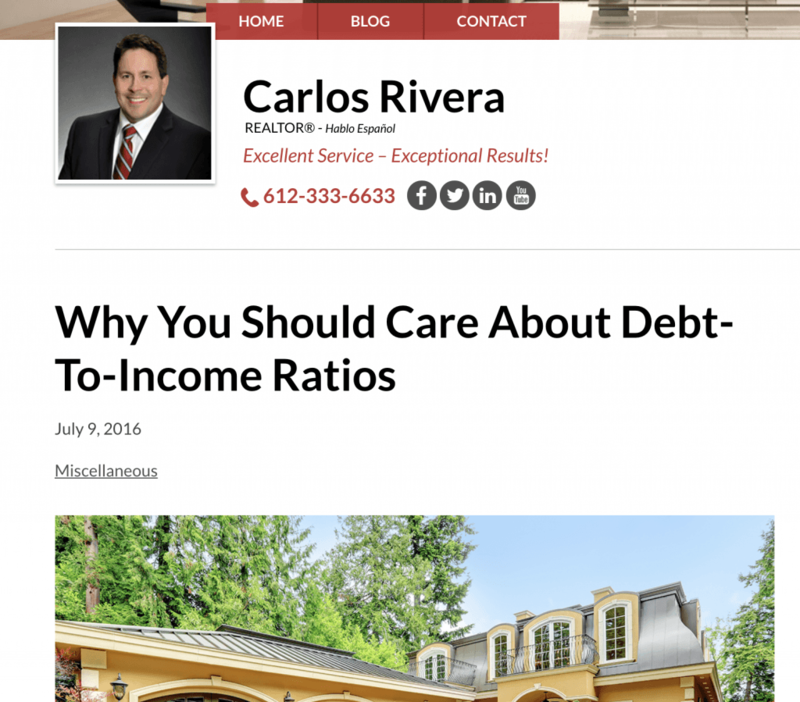 This rating page is a super-optimized moneymaker for them and the 3rd-most trafficked piece of content on their site. This hub on their blog is the 4th-top trafficked piece of content on their site. 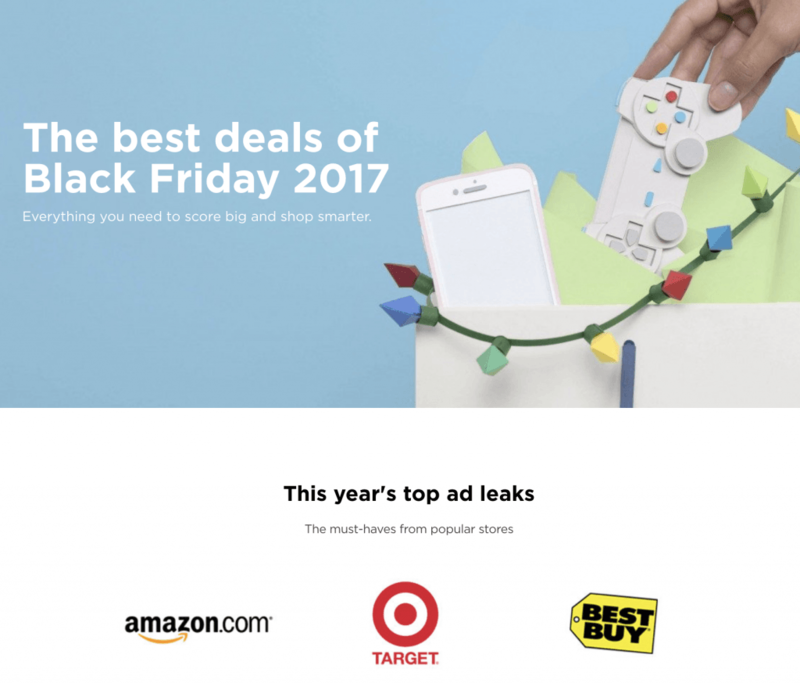 This page serves as a hub for all black Friday related content on the site – which they use to capitalize on users’ black Friday excitement. 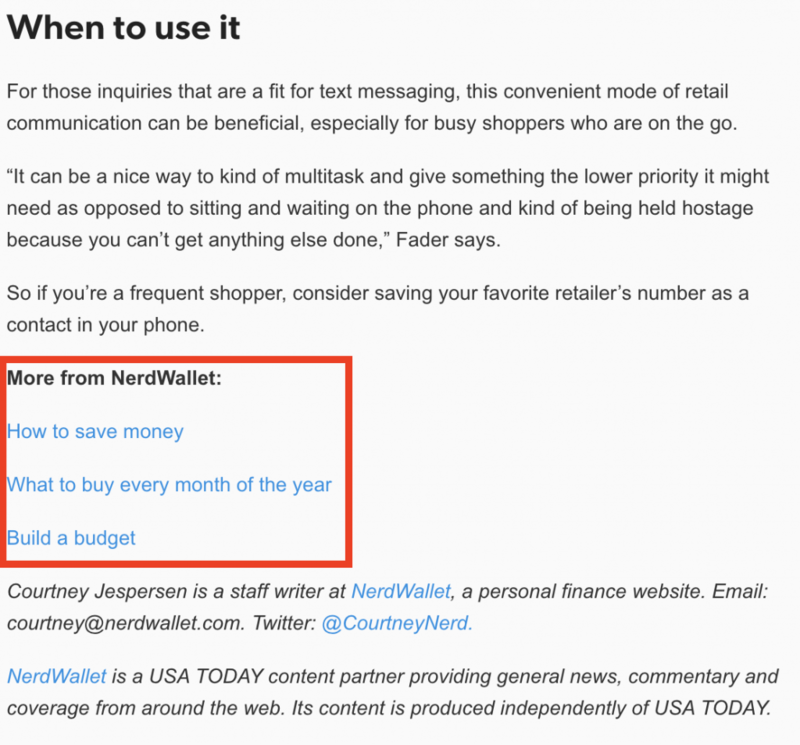 NerdWallet uses hubs like this on their site in various areas to provide comprehensive resources to help people to decide how and where to spend their money. It’s also updated every year to keep it current and compound its backlinks. 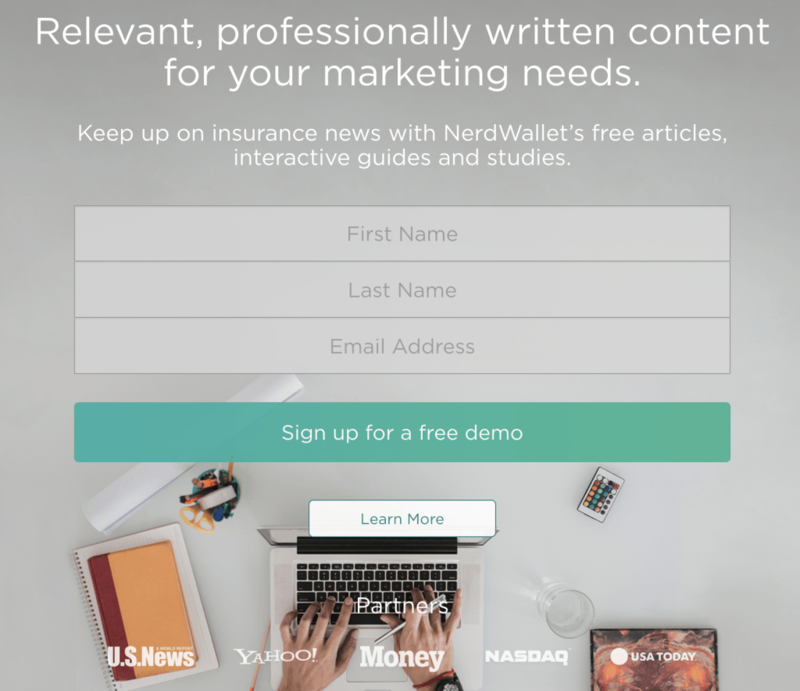 What Did We Learn from NerdWallet’s Content? NerdWallet serves as the perfect example of how focusing on content production and distribution can build a profitable brand from the ground up. If you’re in the financial space, you can look at Nerdwallet’s top performing content and try to create similar pieces that are proven to work. If you’re in another niche, then you need to look up your competitor’s top-performing content and create your own spin on it. Look at what sites are ranking on the first page of Google for the keywords you want to rank for. Then use an SEO tool like Ahrefs to see what content on their domain has the most backlinks, traffic, and/or social shares. Note down those content types, whether they get traffic, backlinks, shares, or a combination, the topics, length, and any other important features. Create similar content for your site, prioritizing by the types that got the most traffic, backlinks, and shares. Promote the content so that it can start working for you. The importance of publishing original research and creating proprietary tools can’t be understated. You can see above that tools like the mortgage and home affordability calculators are the top-trafficked content on NerdWallet’s site. Research and tools naturally attract more links, traffic, and even social shares compared to other content types…ESPECIALLY if you can angle your data in an intriguing or practical way. In terms of what successful research looks like, take a look at NerdWallet’s Millenials and Homebuying Data. Even though this piece doesn’t get much organic search engine traffic, it gets a lot of RDs (652), and shares (almost 8k) by angling personal finance data at a specific subset of their audience: millennials. Publishers are more likely to reference content when it’s up to date. Once you publish a piece of content and see that it performs well, you’ll want to update and promote it again periodically to make it work for you again. There’s no point in reinventing the wheel if you can make the same piece of content gain for you repeatedly. 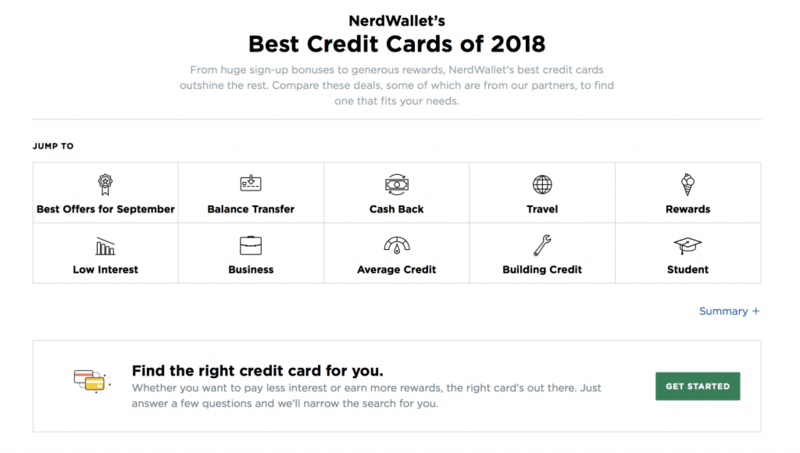 NerdWallet definitely continues building up the authority of individual pages on their site by updating them again year-to-year before promoting them again. This allows your content to continue getting backlinks, increasing its page authority, your site’s authority, and thus its ranking potential each year. In most cases, it’s better to be a site with 10 high authority pages that bring in traffic than 100 low authority ones that don’t. Some of NW’s top content, including their list of the best credit cards is updated regularly each year. This is a cornerstone content piece for them that gets new links from high authority domains consistently. It got links from Forbes, International Business Times, Discover and many others just in the last 30 days. 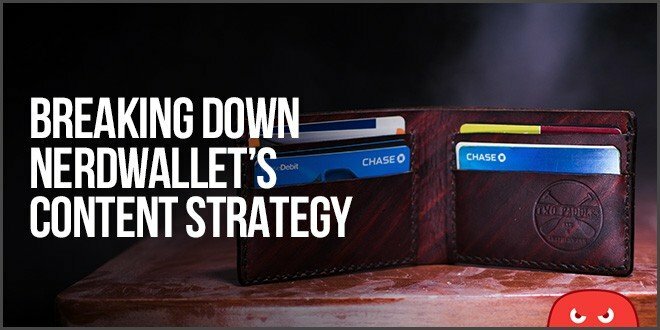 It’s likely why Nerdwallet branched out into sublists of credit cards such as “the best balance transfer credit cards for 2017” to replicate the strategy within an adjacent topic. NerdWallet does this strategy throughout its other product and service comparisons. They update many of the other hubs and resources on their site to keep them timely. There are different deals announced by retailers each year for Black Friday, and there’s a mad dash of search traffic trying to find them. Keeping this Black Friday shopping guide up-to-date allows it to take advantage of that seasonal burst of traffic and capture a bit more of it each year. Looks like this Black Friday hub is due for a big traffic spike this year. 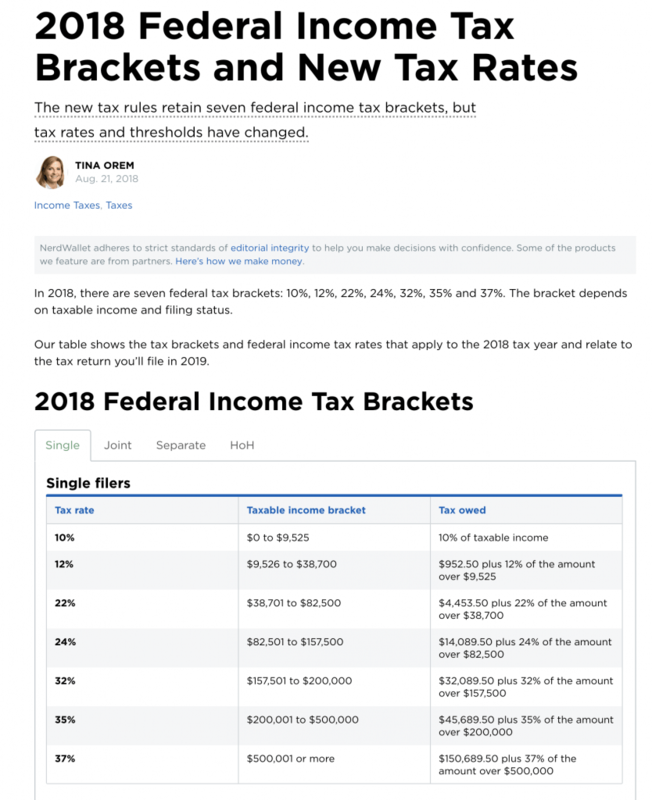 Each year, the current brackets are shown in the table, and the previous year’s income brackets are referenced at the bottom of the page. How Can You Be Succesful Like NerdWallet? Nerdwallet adopted SEO strategies that aggressively built up their website’s authority and traffic. By avoiding a reliance on paid traffic, NerdWallet has been able to compete as a player in the cutthroat financial niche without needing to outspend their competitors. In other words, NerdWallet thrives from organic search traffic by creating content at scale that serves their audience and distributing it for a massive number of backlinks. This isn’t the entirety of their SEO strategy, and they have since adopted paid marketing methods including PPC and TV spots – but you’ve seen the results possible by focusing on SEO from the start. Is it easier said than done? Of course! But you can gain a competitive advantage by putting 100% of your efforts into the innovative strategies like these that will gain you the most links and traffic. #1. Make your website appealing to link to by publishing content that strokes the ego (like NerdWallet did with the Ego Bait of issuing awards through their content). #2. If you want to get powerful homepage links to your brand, target sites that list awards and feature those sites or partner with them for your content. #3. Find sites where the audience that you want to get in front of is hanging out and get a review of your business shown to them by that 3rd party. #4. When you can’t scale everything yourself, do what most businesses wait to do until they’re “big enough” by leveraging a PR firm’s connections for more guest posts, features, and reprints of your content with links back to you. If you can’t get a PR deal yet, look for and invite other media platforms to distribute your content and earn additional backlinks from them. #5. You can build content that naturally attracts backlinks and update it regularly to compound more backlinks. Create enough “sticky content” that needs to be updated periodically and your domain’s authority will increase. #6. The content that builds your brand on social media is usually more digestible and emotional than the content that gets organic traffic or backlinks. #7. If you want to attract links, social shares, or traffic in your vertical, look at the competitor’s content that gets disproportionately higher numbers and create your own version of it (don’t steal, use similar angles for your own, original content). BONUS TAKEAWAY: When something works in SEO, repeat it. NerdWallet recognized strategies or content types that worked, and they went all-in on replicating them to maximize their opportunities for links and traffic. Talk to us about scaling your business through SEO and content marketing. Wow, incredible article. Loved the ego bait – never heard of that before. Thank you for the analysis! Man… this was a long post, but I pushed through it! As always, packed with “practical” ideas/suggestions on building backlinks. I found this to be an awesome analysis of Nerdwallet (never heard of them until now!). Building backlinks is certainly one of the most tedious and difficult aspects every SEO has to face (at some point or another). These tips are NOT easy to implement, simple, but not easy. All require time and dedication. Not to mention that not all may be appropriate for one site or the other. You must pick and choose where to [invest] that time. …sorry, just thinking out loud there. Thanks again for these awesome posts. Love reading them. Tip #8: Stay abreast of your industry (SEO) by reading great material like this. Love this comment. Thanks so much for sticking all the way through reading 😉 Yep, definitely not “easy” to implement, but isn’t that true with a lot of the best marketing tactics? Appreciate your thoughts! Thanks for the comment! These strategies might involve a decent amount of work, but the result for NerdWallet is an enormous brand that generates millions and millions. The beautiful thing is that even though they are difficult, they are replicable. A small business can do these strategies at a smaller scale and build up to doing more and more at a larger scale. This is one of the best SEO articles I have read. Building backlinks is certainly one of the most tedious and difficult aspects every SEO has to face (at some point or another). Thanks. Finding ways to scale backlink creation is one of the most impactful things a brand can do for their SEO in my opinion. The HOTH, Thanks for this great secret. You really gave me a deep understanding of the Ego Bait strategy. Can’t wait to use it. Crazy good stuff guys! Our team has learned so much from your SEO information. Nerdwallet SEO strategy is Amazing! Building Quality backlinks are really dreadful but Prominent task in SEO. This article gets a big bookmark from me as I try to figure out the best way to build content for my new online business. This article shines the light on a great strategy for my content plan. I’m working to transition my former one-man SEO Consulting business (www.lisachapman.com) into a Lead Generation Business for attorneys. For a one-man operation, the pressures of SEO in the current market are driving me away – and toward a more promising future. Bottom line, my local clients want more business, and they’ll happily pay for leads, so let’s just cut to the chase. Thanks for laying this out so clearly, just when I needed it.